Most teams across the country would see a significant drop-off after losing three of their top players. However, the MTSU men’s tennis team is not one of those teams. The Blue Raiders have found key players to replace the veterans they lost for the 2018-19 season. Head coach Jimmy Borendame enters his ninth season at MTSU with one of the strongest recruiting classes, not just in Conference USA but in the nation. 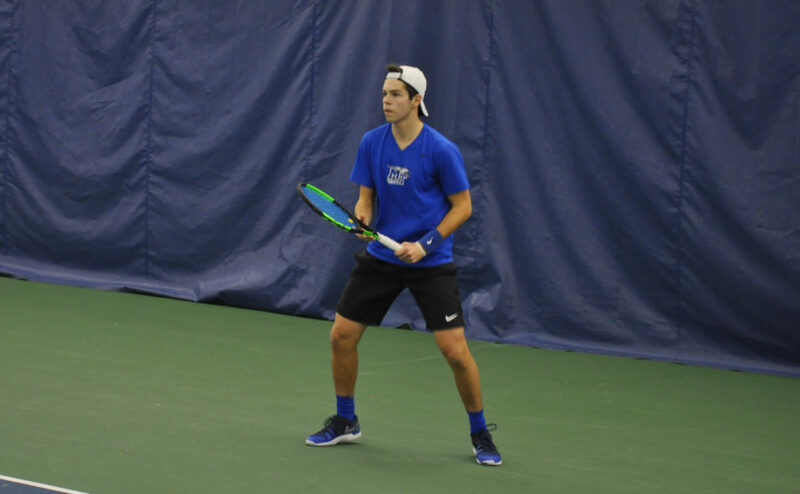 According to Tennis Recruiting Network, MTSU finished as the 20th ranked recruiting class, which marks the third time in four years the Blue Raiders have achieved this feat. “The ranking is great, but I’d much prefer to rank them on their way out after four years than some recruiting website that ranks them on the way in,” Borendame said. 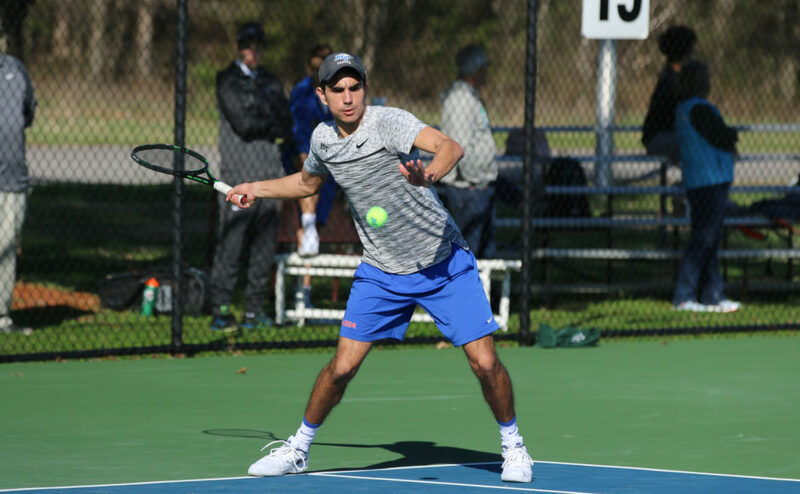 The class comes at a crucial time as the Blue Raiders look to replace the graduating class of Miguel Negre, Jan Porteset and record-breaking Gian Issa. MTSU also lost Nicolas Buitrago Machado, who transferred to New Mexico State. “I miss those guys, but I’m looking forward to seeing them in their career and different endeavors,” Borendame said. 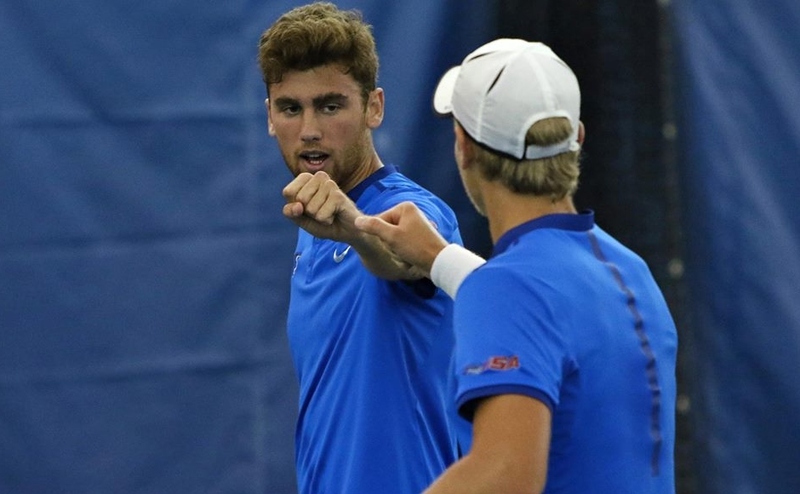 Europe is where a majority of the top tennis pros on the ATP, ITF and WTA tours call home, and recruiting overseas has proven to be fruitful for Borendame and his staff, with stars Tom Moonen and Chris Edge making MTSU one of the top mid-major tennis programs. Moonen will have a countryman joining him this year with Stijn Slump coming from Havelte in the Netherlands. Slump was a national champion and has participated in multiple ATP tournaments. On the ITF-Juniors tour, Slump has topped multiple top-50 players. “Stijn’s very athletic with some of the best racquet speed I’ve seen. (Slump) hits the ball and guys are bracing to see how hard he hits the ball. He’s the right-hand version of Miguel (Negre),” Borendame said. The 6’2 newcomer paired with Moonen at the Penn Invitational in Philadelphia, finishing 1-1 over the weekend. Slump was the top performer for the Blue Raiders in singles at the tournament, tallying a 2-1 record. Pavel Motl from Prstice in the Czech Republic has multiple ITF-Juniors titles and has been ranked as high as number two in the Czech U-18 rankings. With a career high of No. 101 in the ITF-Juniors rankings, Motl has made an early impact in doubles with a 4-1 record at the Penn Invitational, pairing with Edge, Gonzalo Morell Raschiatore and Max Rauch. “(Motl) comes in with probably the highest ITF ranking we’ve had at No. 101 in the world. He’s really complete and does everything really, really well. He’s going to be a special player for us,” Borendame said. Motl is older than the rest of his fellow freshmen entering the season at 21 years old, but Borendame thinks it can add a veteran presence to the team. “(Motl) is as professional as they come. He takes practice so very seriously, he takes his recovery seriously and he takes his nutrition seriously. It’s kind of like having a junior, even though he’s only a freshman and been here a month,” Borendame said. 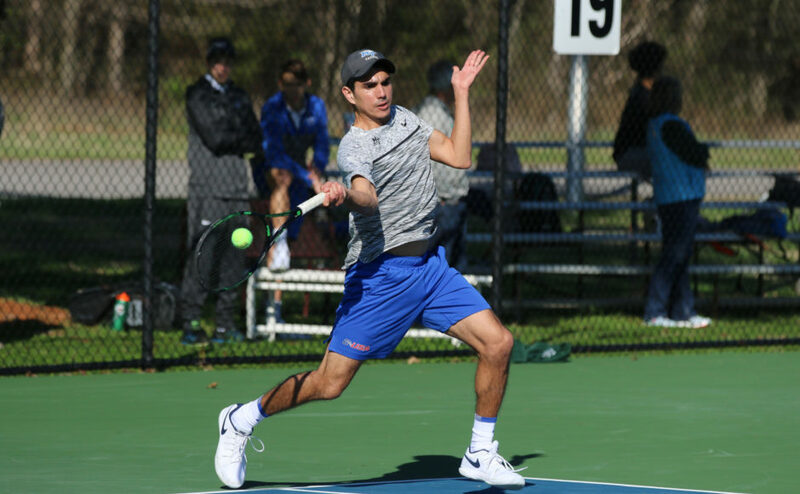 Francisco Rocha from Porto, Portugal, was the most under-recruited addition from the record-setting recruiting class and will have to get settled playing solely on hard-court as compared to the slower clay courts that Rocha is used to back home. “(Rocha) is constantly asking to do extra. He’ll grab the basket, and you’ll see him out there by himself serving. He’s got a lot of potential,” Borendame said. However, Rocha is a doubles specialist and has won multiple doubles tournaments back in Portugal. Rocha went 3-0 in doubles at the Penn Invitational and 1-3 in singles. Borendame lauded his team’s strength and depth in the lineup in doubles. “Gonzalo (Morell) and Pavel (Motl) have been a very dangerous duo so far at a potential No. 2 doubles position. No. 3 doubles is going to be up in the air with so many pieces: Daniel Stormon, Jacob Pugh, Rocha, Max Rauch, Slump, Luis Morillo Diaz,” Borendame said. Daniel Stormon, while technically not a part of the class, adds even more depth to a stacked Blue Raiders roster. The junior college transfer from Collin College was a top 20 player in singles and number eight in doubles in the NJCAA rankings. “Daniel has really good racquet skills. His ball-striking abilities are really strong. He’s got a few nicks here and there injury-wise. He’s got a lot of potential to help us, and I’m looking forward to seeing him at the Short/LaLance Shootout,” Borendame said. Borendame did not have any set goals for the team during the fall season but said he expected the nationally ranked duo of Moonen and Edge to make the NCAA doubles tournament, while also hoping that the team will stay healthy heading into the spring season. “The way the schedule is stacking up, (Moonen and Edge) are going to have at least three top-10 opportunities against other teams: Tennessee, Vanderbilt, a couple others. 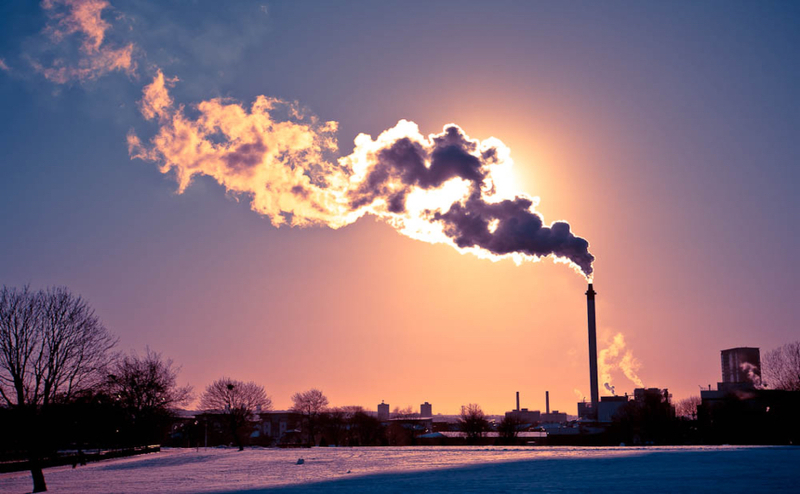 They have some potential to do some damage,” Borendame said. MTSU will have multiple tournaments they will attend this fall. 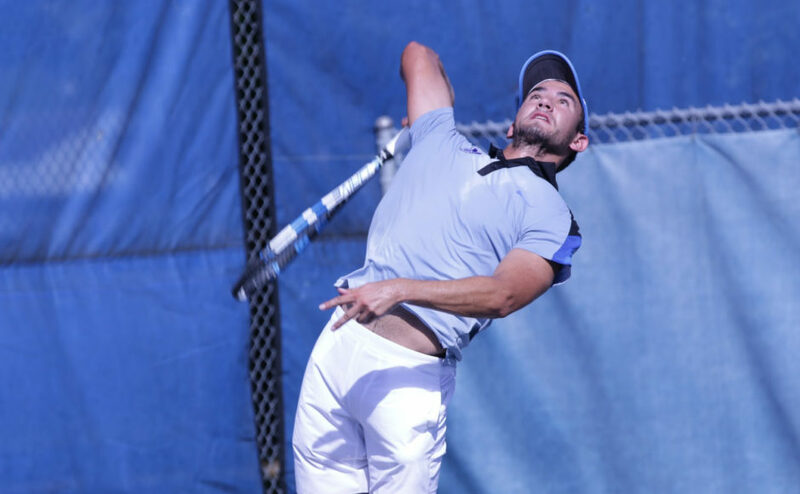 The ITA All-American and Regional Championships stretching into October provide massive opportunities for the Blue Raiders to make noise against the country’s best players. Invitationals to Louisville from Oct. 19 to 20 and to Birmingham from Nov. 2 to Nov. 4 will be the final tune-up before the winter break and the spring season.